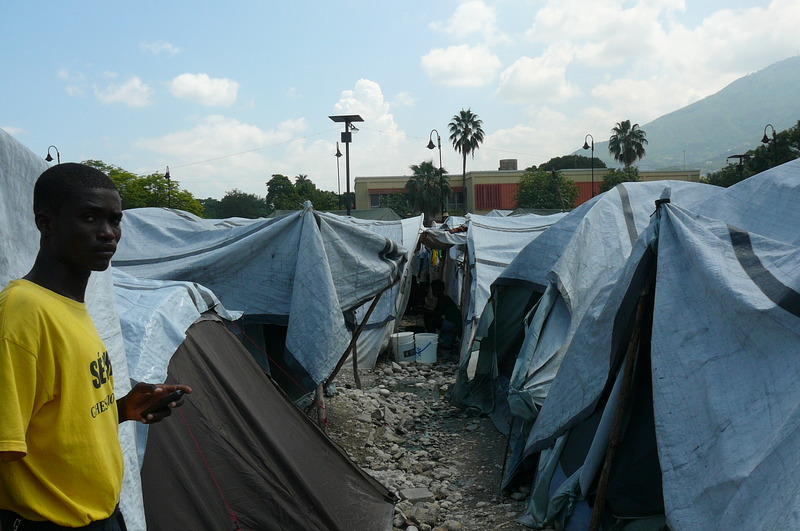 Photographs of the Gheskio Health Clinic, Port-au-Prince, Haiti, from September 2015. 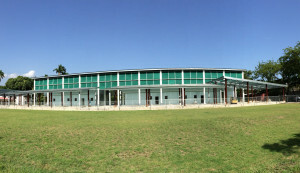 The main building is completed. 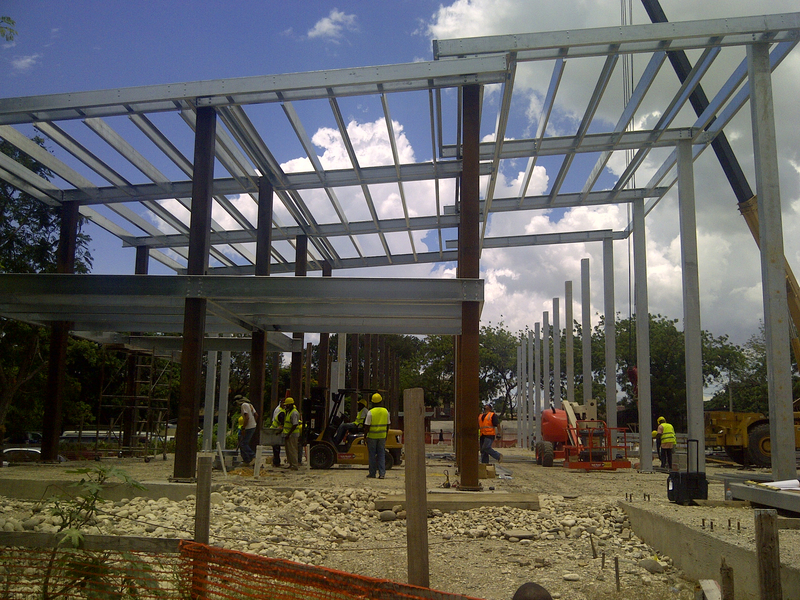 The steel frames of the pavilions are erected and their completion awaits for further funding. As of January 2016, we are glad to introduce you to Starboard Architects. After over 40 years of practice, Joseph Tonetti has retired. Andrew Wright has reorganized the firm as Starboard Architect PC. The firm will continue to provide clients with the creative, thoughtful and skillful service. To learn more see here. 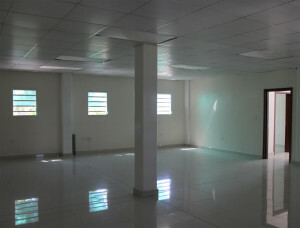 HAITI HEALTH CLINIC NOW UNDER CONSTRUCTION! 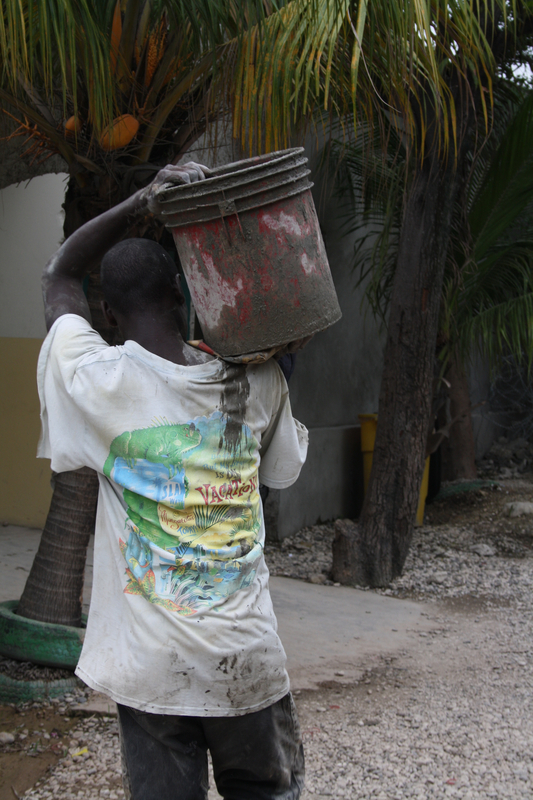 The local community surrounding and served by GHESKIO consists of over 100,000 people living in slums and ‘tent cities’ on less than $1/day (as do ~56% of all Haitians). 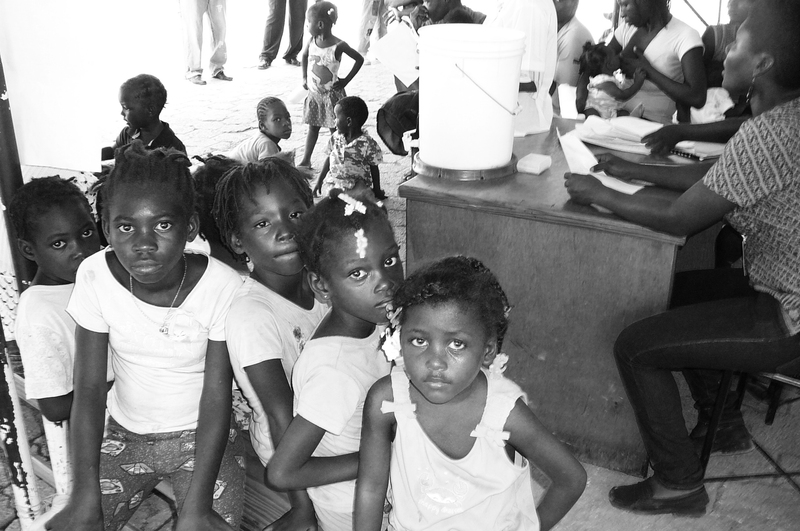 Malnutrition is widespread: Haiti’s malnutrition rates are among the world’s highest. 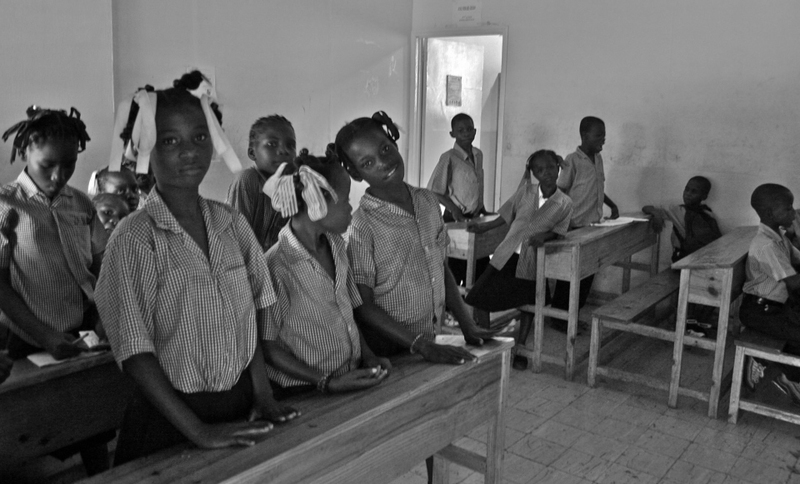 One-third of Haitian children under age five are severely malnourished, and 40% suffer from anemia. 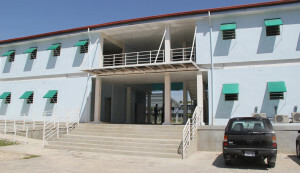 Since 1982, in partnership with the Haitian Government and Cornell University, GHESKIO has been offering free health care, including HIV counseling, AIDS care, prenatal care, and management of tuberculosis and sexually transmitted infections, and conducts research and training in HIV/AIDS and related diseases. 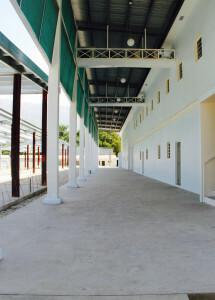 In 2000, the Haitian government named GHESKIO a “Public Utility”, a designation reserved for institutions, which are ‘essential to welfare of the Haitian people’. 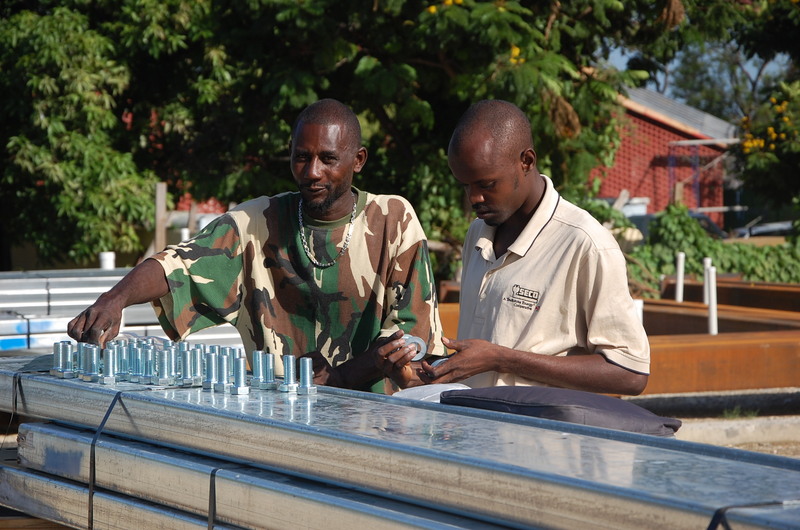 In 2010, GHESKIO was awarded the Bill and Melinda Gates Award for Global Health for its outstanding contributions to the global health field. Since the earthquake in January 2010 GHESKIO has expanded its mission to also provide comprehensive health care and community services, including reproductive health care, clean water, sanitation, food, security, education and social services. 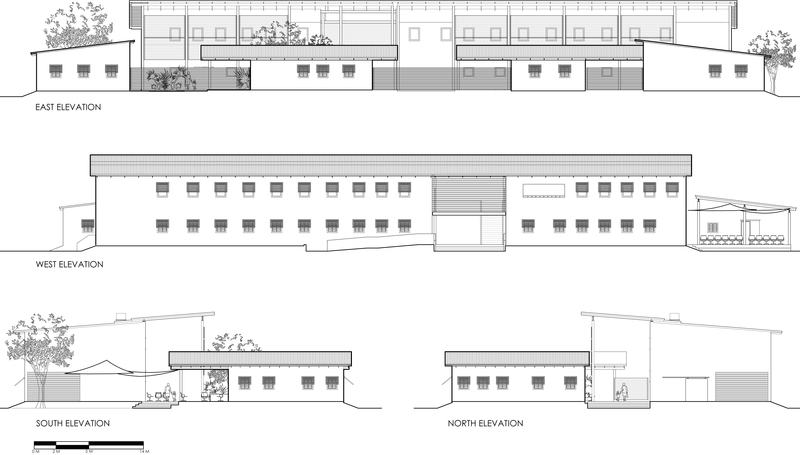 The new Family Health & Nutrition Center, designed by NYC-based firm Tonetti Associates Architects, represents GHESKIO’s new, comprehensive approach to nutrition, clinical care and community development. 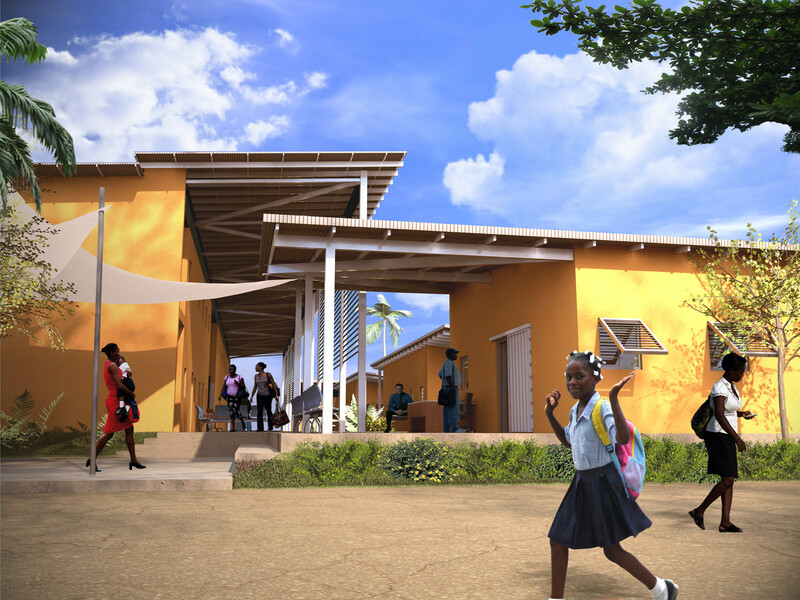 The design takes into account the many challenges of building in Haiti, while reflecting the purpose and program of the facility. Tonetti Associates Architects investigated sustainable and durable structural systems that can be constructed by a relatively unskilled local work force and chose cold rolled steel frame, which is lighter and resists lateral loads better than concrete frames. 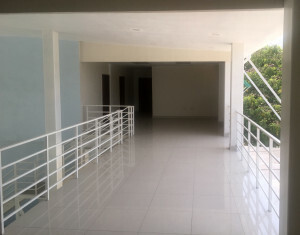 Steel frame has been fabricated by Blue Sky Building Systems (http://blueskybuildingsystems.com). Funding: MAC Aids Foundation grant and private donations. Fundraising still in process to complete construction. 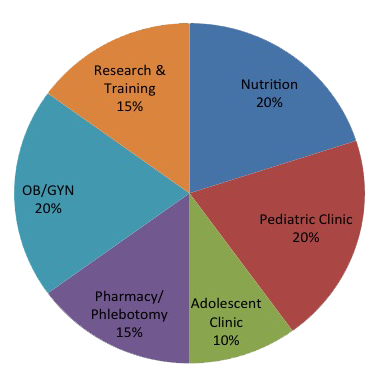 Weill Cornell Medical College, a 501(c)(3) organization and partner of GHESKIO since its inception, receives donations. At a time when architects were still in thrall to blank-slate urban renewal, Ms. Huxtable championed preservation — not because old buildings were quaint, or even necessarily historical landmarks, but because they contributed vitally to the cityscape. Our architectural design approach is rooted in profound respect for the natural environment and the efficient use of resources. TAA designed the first passive solar building, commissioned by the State of New York in 1982 – the Mid Hudson Activity Center. We have designed numerous additional sustainable buildings, such as the Hackettstown Fish Hatchery and the Mars Education Center at Fort Ticonderoga (LEED accredited). 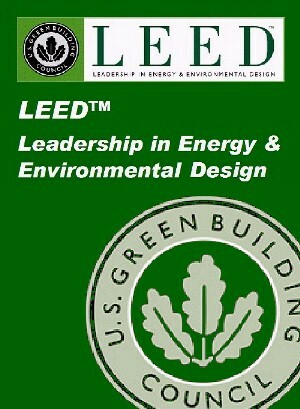 Our staff includes LEED certified professionals. Article on Tonetti Assoiates Architects’ Mars Education Center at Fort Ticonderoga winning LEED certification. Tonetti Associates Architects from Tonetti Associates Architects on Vimeo. Taking the ferry to Governors Island, view of Brooklyn. Fort Jay with view of Manhattan. Fort Jay (background: Brooklyn), the oldest defensive structure on the island, is situated on the location of earthworks originally built to defend New York City during the American Revolution. General Israel Putnam constructed the first earthen fortification starting in April 1776, and armed it with eight cannons for the defence of New York Harbor. Castle Williams with view of Manhattan. A circular fortification of red sandstone on the northwest point of Governors Island, part of a system of forts designed and constructed in the early 19th century to protect New York City from naval attack. 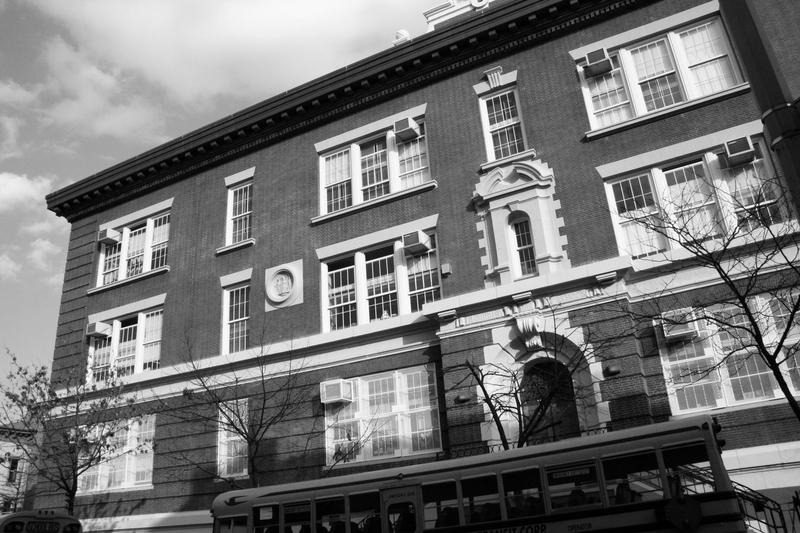 TAA just completed full interior and exterior modernization of PS 132 in Williamsburg, Brooklyn, winning the approval of the New York State Historic Preservation Office. In this major renovation we restored the building facade, designed a playground, addressed curriculum concerns and security issues. With new roof insulation and total window replacement, we are anticipating that the energy use in the building will be reduced by 30%. — with Andrew Wright at PS132, Brooklyn. Beyond South Florida, Clemence has registered relevant modern and contemporary buildings all over the world, from the geometric lines of Mies van der Rohe to the expressionistic abstraction of Frank Gehry, all caught in film, making the often silent art of architecture properly heard. View here. 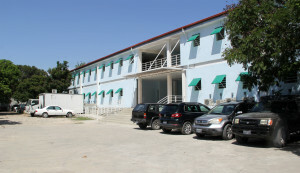 The Hotel Oloffson is an inn in central Port-au-Prince, Haiti. The main structure of the hotel is a 19th century Gothic gingerbread mansion set in a lush tropical garden. The mansion was built as a residence for the powerful Sam family, including two former presidents of Haiti. The hotel was the real-life inspiration for the fictional Hotel Trianon in Graham Greene‘s famous 1966 novel The Comedians. During the 1970s and early 1980s, the hotel enjoyed a brief period of fame and good fortune. Celebrities such as Jacqueline Kennedy Onassis and Mick Jagger were regular guests. 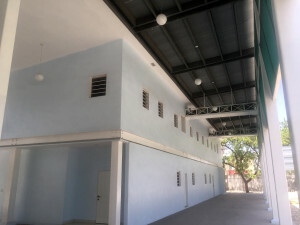 Throughout the political upheaval of Haiti in the 1990s, the hotel has been the regular performance venue of the mizik rasin band, RAM, famous for their protest music during the Raoul Cédras military dictatorship from 1991 to 1994. 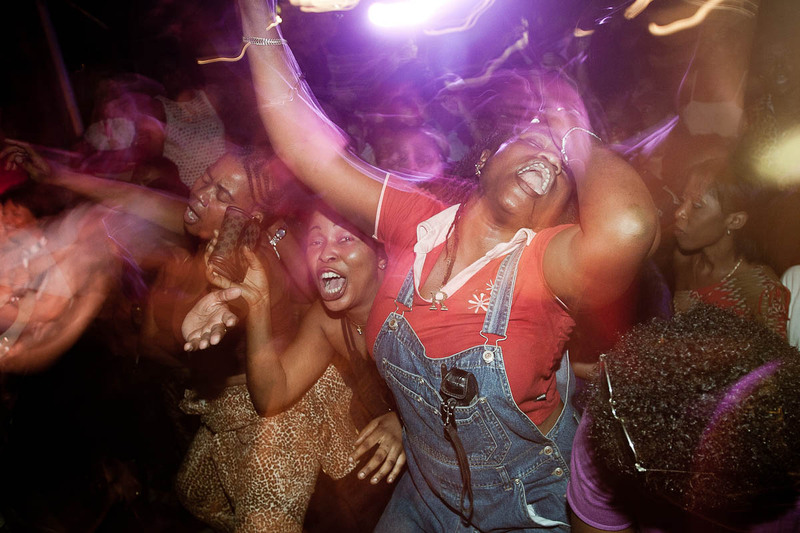 Their Thursday evening performances at the hotel became one of the few regular social events in Port-au-Prince in which individuals of various political positions and allegiances could congregate. Regular attendees of the performances included foreign guests at the hotel, members of the military, paramilitary attachés and former Tonton Macoutes, members of the press, diplomats, foreign aid workers, artists, and businessmen.